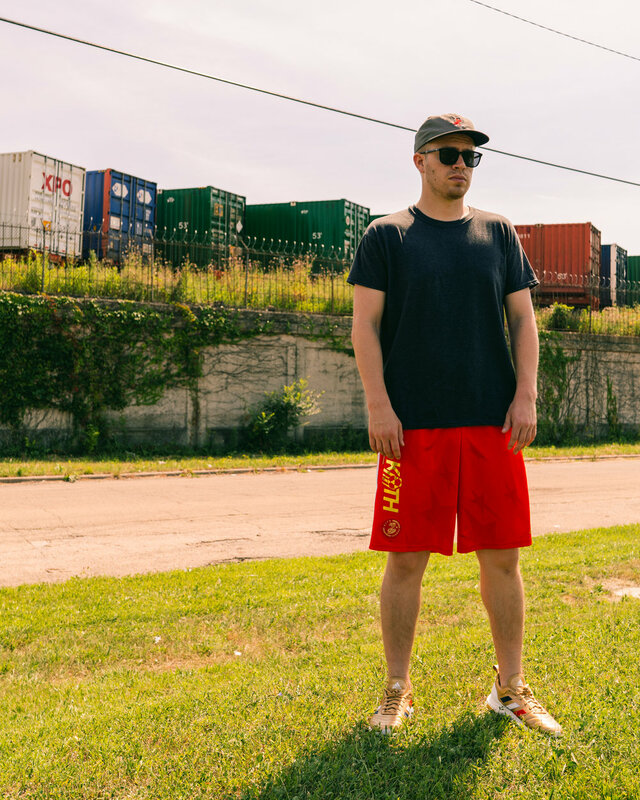 This summer I collaborated with Talisman Caps, a midwestern-based soccer apparel company to bring a fresh new way for Chicagoans to wear their pride on the daily. This past month we introduced the “Cuauhté Cap” - Saluting one of Chicago’s legendary sports icons and giving fans the chance to wear their pride on or off the pitch. As part of a limited quantity release we still have a few of the caps left in inventory, and you can purchase them below for $35 (plus S & H). Lastly as part of the release, we held a event that combined Chicago Sports & philanthropy, raising $150 dollars to help keep families together during a divisive time at our nations border. Thank you to The Young Center for all the incredible work you do! This past June, I had the opportunity to participate in Vocalo Radio’s “Quest for the Best DJ" Competition here in Chicago. Vocalo, Chicago’s reigning independent urban alternative station, has a collective of DJs that champion the unique sounds of the windy city on a monthly basis thru live mixes and events. The “Quest for the Best” is a competition to pick the top local DJ to join the team and help spread the positive vibes across the city and beyond. Vocalo isn’t about playing the most popular records, it isn’t for people that follow crowds or are easily influenced by others. It’s about celebrating individuality, being eccentric, original, and having a knack for thinking outside the box. By a random chain of events I entered the competition, grinded on creating two unique sets and am honored to say I won the whole thing! Looking back I am really proud about making the most of the opportunity and wanted to reflect on the accomplishment as well as post the two winning mixes and a handful of behind the scenes snaps from the competition. Here’s five things I learned from this experience. 1. Don’t be afraid to be yourself. There is no one else like you. 2. Appreciate the ebb & flow of life. I would never have entered the competition if I my checks didn't come through from other gigs and I missed my chance to visit my Mom. Take a negative and flip it for a positive. 3. Trust your instincts! Records, like people and experiences, come into your life for a reason. 4. Be open & ready for new friendships in your life. You can’t if you close off yourself to the positivity in others and I met some incredible people through this experience. 5. Never compare yourself to others, people aren’t kidding when they say comparison is the thief of all joy. Set your goals and then put on blinders towards others. Beginning of June I was focused on finishing a few corporate client gigs to afford a trip to see my mom in North Carolina, but when finances fell thru and I didn’t think I could make it, I was really depressed that I couldn’t make it up to her. Since I had requested time off from work, it meant that I had seemingly nothing to fill the space and I decided to channel the negativity into something positive. I had initially been peppering Vocalo’s Radio Producer Jesse De La Pena to get him to play my Chicago Mix Project on air, so we when the chance came up I sent him this demo (which had some repurposed ideas from a previous trip to NYC). He selected it as one of the qualifiers and now there was no turning back. I had to compete. As part of a two-legged competition the first round was a set of 8 competitors taking place at a venue called Sanctuary in the South Loop. The space was beautiful and since this was my first time ever competing as a DJ, I was super nervous. Luckily, I did a decent job, and qualified for the final. One point I did want to make was a blend in my mix was inspired by a video I saw DJ Herm Guzman from AZ do on the internet. His take on Childish Gambino’s “This is America” inspired some of the political commentary I did in my set. Thanks Herm! Listen to the full set below. Each set was around 12 minutes. As Part of Logan Square Arts Festival, the final took place during the block party on a Friday. It was exciting to compete on an actual stage, and really focus on performing your set in an effort to connect with spectators in a way that the other DJs may not. I was in the third of five competitors to throw down, which I felt like was the perfect time in terms of attendance and confidence level to give it my all. I came away with the title. Important thing to note is they also picked the homey DJ Archi as a winner to join the collective team. He held it down proper and I am honored to have been in the mix with him at this competition. Check out my championship set, right below. It was an incredible experience to compete in the 2018 Vocalo "Quest for the Best" DJ Competition. Even if I had not won, it was worth it to simply compress many of the mix ideas I had been floating around in my sets for the past couple months. It also forced me to commit new blends and styles for immediate use in the competition. As DJs, it's easy to get complacent and fall in to a trap of simply updating social media with event flyers or photo shoots, but the real work will always be what you accomplish when you're on the turntables. Prior to this competition I felt a lot of strain due to the false idea of comparing my art and work with those that don't actually back up their efforts with music or mixes for the community. The accomplishment here was in part recommitting myself to the necessary work of championing this city's music scene with every opportunity. Vocalo is part of that ultimate goal. Now as a member of the collective, you can expect live mixes from me every second Friday of the month! Live broadcasted on 91.1 FM here in Chicago and globally via the Vocalo App. When I arrived in Chicago in the summer of 2009, I had no clue how greatly this city would shape who I am, not only as an individual, but also as an artist. As I began to create more material, post mixes, films scratch video routines, or compete in competitions, a big portion of what I was trying to determine was how I filter the incredible creative scene in Chicago into my own work. The product of this path of discovery was the #ChicagoStyle Mix I released in May of 2018. The #ChicagoStyle Mix is a manifestation of that journey, a project featuring all local Chicago artists mixed seamlessly into an hour long mix, spanning genres, and an array of emotional sensibilities. While a lot projects I listen to keep a consistent party energy throughout… my main objective here was to create a narrative that showcased the diversity of talent that the windy city has to offer. The project is about shared experience, about existing within the confines of this city and sharing what it means to move, create, struggle, persevere, love, and celebrate together. Collectively, along with Dan Kanvis the project’s designer & art director, we believed that the best way to represent this shared experience was a popular pop culture reference from this city that symbolized what it means to be in the midwest. To us, nothing was more poignant than a late night hot dog run with friends after a long night out. Rather than pin it on a particular piece of iconography (like the bean or sears tower) we decided the shared experience of late night meal with friends was a connective moment for what it means to be a Chicagoan. As DJs & tastemakers in the city, I firmly believe that it is our duty to uplift and present our local scenes’ music within our own individual programming. Any DJ can play all the hits and classics everyone wants to hear, but the true test lies in melding familiar sonics with breaking new records and paying homage to the creativity that still exists in the confines of this city. With the warm reception of this mix, it’s clear there is a definitive need to continue the celebration of Chicago styles for the foreseeable future, so look for part 2 in the near future! This past year has been a time of fresh starts and opening new chapters of my life (both personally & professionally). I moved neighborhoods, and dumped a bunch of toxic parts of my life out the window to start over. A big focus with these new moves was to realign myself with the passions and projects that have guided my life up until this point. I needed to stay close to things that kept me happy and progressing forward. Often times, when you are passionate about something creative like djing or music, the lines between work or “away time” are never clearly defined. You’re always “on the job” or “always working” and your passion permeates everything you come in contact with - whether it be social connections, what you consume, or what you wear. There’s a million artists, musicians, and djs - so when approaching projects, I always look to what makes me an outlier or individual, rather than falling in line with other creators in the world. One of those things for me is my involvement as DJ & Music Director for the Chicago Fire. Anticipating to be signed on for another season as the Chicago Fire’s DJ (Edit: I got the job guys woo!) - I wanted to incorporate my new home Pilsen into the matchday experience, not only sonically, but also in how I present myself on the decks. Enter DeJesus Customs - A Chicago-Based shoe designer that I came across through my friend Drew Connor, who plays professionally on the Fire and made some pretty tight kicks himself with their team. DeJesus has come correct on projects for atheletes in ever league from MLS to NFL, so I approached them with a lot of anticipation to create something special. 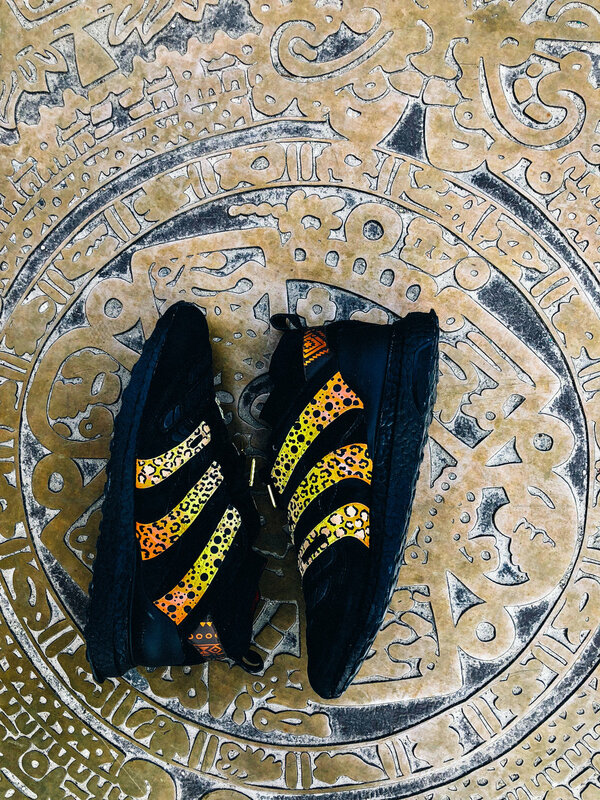 The base palette was the David Beckham limited edition Predator Accelerator, a consortium-only release of Adidas iconic soccer silhouette translated into the street-style platform. Having been a huge fan of Becks as a kid, this seemed like the perfect canvas to start with for this shoe. As far as Pilsen Influence on the shoe - it becomes a “dicey” subject. While I’ve been exploring neighborhoods like the near-south community in Chicago for the eight years I’ve called this city home, I’m a relatively new resident to this location. I am not gonna avoid the fact that as a white guy, whose appearance is super eurocentric, living in a community going through a lot of issues preserving it’s identity against gentrification, my involvement here is problematic. Pilsen, since its inception has been a space for immigrant communities, and while the ethnicity and cultural makeup has changed, that spirit still exists here today. The ambitious, persistent, and hard-working attitude is one of the major characteristics I’ve take from my relatives before me, and it’s a feeling I continue to seek in the support group I surround myself with overall. The artist and cultural network here in Pilsen is a place where I feel that same energy, and its one of the few places in Chicago you can go to still regularly speak Spanish, which was a big thing for me overall. I started taking Spanish when I was in Kindergarten, as part of a community initiative in my school district to teach kids a new language. While my academic journey afforded me a chance to take French, Russian, or Chinese, I stuck with Spanish throughout school until I graduated with a double major in 2013 from DePaul here in Chicago. The language itself has been one of the most consistent aspects of my life, through different experiences and opportunities, always offering an alternative way to communicate and better understand others. Part of moving to Pilsen, and living in a historically relevant art gallery space, was to represent and uphold the culture of a community even if it’s an identity that is not innately my own. As a creative representative for a community like the Fire, I felt like it was important to show and pay homage to the multiple influences and identities that help shape my perspective on the daily. With the help of my friend Caleb Zahm, we connected with Chitown Futbol, a local soccer facility in Pilsen that’s had their doors open to players since the 90’s. 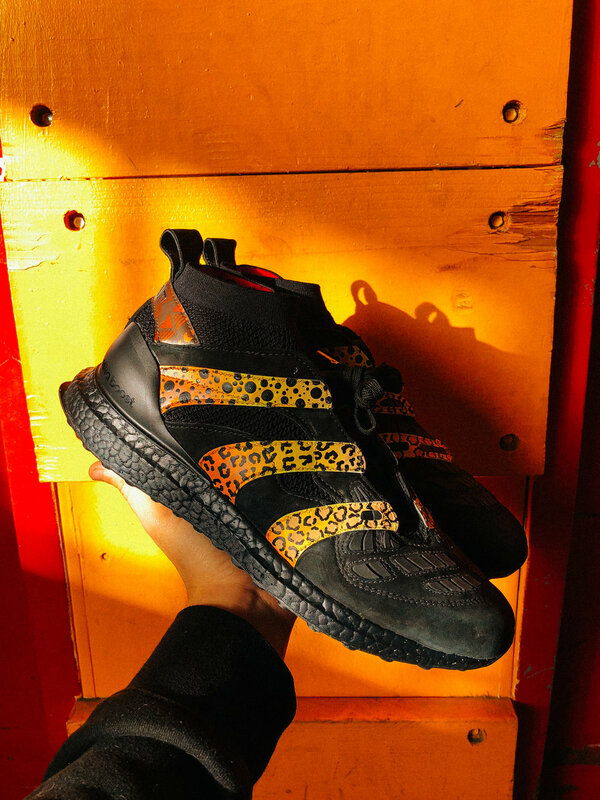 Gravitating towards the brightly colored murals and street-style aesthetic - we shot a range of photos highlighting the unique silhouette and the brand new 2018 Fire kit. A big thank you to Jose from Chitown, for giving us access to the facility, and Dillon from DeJesus for snapping on the overall finished product. As weather conditions start to brighten up here in the Windy City, expect more content like this for the future. The month of September always has a special importance here in Chicago, especially among soccer fans. Nationally, this month is recognized as Hispanic Heritage month, and is a moment to recognize the latino community for their contributions to our society at large. As it relates to my involvement with the Chicago Fire, Hispanic Heritage night has always been a particularly exciting opportunity to show gratitude for the Latino Supporters that have been so important to the community. In the past, the Fire has released limited edition jerseys, invited mariachi to perform the national anthem, and switched the primary PA announcer to be Spanish-only for that evening. While these are all great recognitions, the current political climate made me personally feel that more needed to be done to show solidarity as americans. Trump rescinding DACA and leaving young immigrant children without further protection in this country, was just one of many intolerable acts that needed to be met with local social demonstration. In light of this we planned an event at the gallery space I live in, Casa Calle Veinte in Pilsen. Combining Soccer and Social Justice, I partnered with the Chicago Fire Fanbulance, and 5 Rabbit Brewery to create a night showcasing soccer and fashion for a good cause. The event, sought to highlight a new line of Mexican-Inspired Dia De Los Muertos T-Shirts and hoodies, with all proceeds benefitting the Local Advocacy Group - The Young Center For Immigrant Children's Rights. In total, we raised over 900 dollars, and thanks to the support of Local DJs and Chicago Fire Fans - it was a night we will look to continue annually for the future! Take a look at some of the select shots from the evening, and tune-in to my live mix for Hispanic Heritage Night at the Stadium. This past August, the Chicago Fire hosted their first official Star Wars Night. This galactic-themed evening was a charity partnership with Lucasfilms Ltd and gave the Fire an opportunity to flex their creative muscles into some special content for fans. Historically, I have always been a huge Star Wars fan, and when this opportunity came I was excited to live out my dream as an honorary Jedi for the day. The team partnered with Illinois' 501st Garrison, which is fan club of locals that collect Star Wars-related gear for reenactments and charity events in the midwest. Together with the Fire's creative team, we put together a space-themed highlight reel, fusing Chicago's "Men in Red" with the galactic rebel defenders of Star Wars. I was called in to provide some scratches and choose the theme music, which I felt could be nothing BUT Beastie Boy's "Intergalactic" given the circumstances. Getting to work with the 501st was a special experience, and being able to soundtrack the celebration of the team (even though the game result wasn't what we preferred) was something I will keep with me going into a new season. Check out this behind the scenes gallery and my live mix from the Star Wars Gameday below. The main event, the summer blockbuckster, and the moment I had always been waiting for. Back in the beginning of the year when I first heard whispers of Chicago being the host city for the MLS All Star Game, I immediately got super excited. Hosting the game here in the Windy City is a bit like being a part of the soccer circus for one week. The game doesn’t necessarily mean anything in league performances, but the celebration and pageantry of soccer in the city gives the sport here an added lens of focus that maybe wouldn’t be here normally. Since a lot of my work goes towards the Chicago Fire here, it felt really natural to dive into this opportunity, inquiring about where I may fit in as a musical support to the positive celebration of soccer. Thankfully, I got a great response from the league, as well as other groups activating around the event. When it was all said and done, I was invited to help soundtrack collaboration between MLS x La Liga (Spanish First Division) for a joint Watch Party for the Chicago Fire and Real Madrid. Though these were two separate matches, they lined up back to back. Right before the All-Star Game, I also got to collaborate with Chicago’s Supporters’ Section 8 for their pre-game tailgate. This was a joint event with Continental Tire, and their brand representative rEvolution. It was an honor to support all my Chicago friends as they prepared for the big match. By far the biggest (in scale and size) was the MLS Beach Soccer Event with CivitasNow. Held on North Avenue Beach at the iconic venue Castaways, the league handed over audio control to me for a day of sun, sand, and soccer. As the event pushed on I also got to test my mic skills, interviewing MLS Stars like Brian Ching, Dax Mccarty, Greg Garza and Kaka. As a life-long fan, the whole day was a twenty-four hour dream. Infusing music into sports events has long since been a goal of mine since getting in to DJing, but MLS Beach Soccer seemed to be the peak of all I’ve worked for in the last 2-3 years. I’m proud to have been a part of the event this year, and hope to use this as a springboard to create and re-imagine the way people think of sports and music as one touchpoint into creative expression. Check out the Gallery & Recap Video from the Beach party below! As part of a continued commitment to experience the game in different places across the country this season, I hit the road on May 18th with my brother and Chicago Fire’s supporter groups Sector Latino / Section 8 to experience the “wonders” of R.F.K Stadium in our nations' Capitol. Formerly the home of the Washington Redskins (problematic name) R.F.K. is now a deteriorating cathedral of the beautiful game. D.C. United has since green-lit plans to create a brand new stadium, and with the development now in full swing, the opportunity to experience MLS within these confines are now numbered. This trip was meant to check D.C. off the bucket list for soccer stadiums. It’s always special when you get to experience the game with close family, and being able to take the trip with my big brother was a meaningful moment. He’s contributed so much to my growth and progress as a DJ, and it was particularly memorable to be able to get him one of our brand new gray away kits, and then hit the stadium for the match. D.C. United, who historically has fielded very strong sides in MLS, have struggled for most of this season, and on this day, the Fire took advantage, sealing a 1-0 victory off a David Accam breakaway goal. In what many would describe as a physical match-up (36 fouls given throughout), there were also glimmers of skill during the 90 minutes of competition. Bastian Schweinsteiger, who I will admit looked really fatigued for the vast majority of the match – produced a bit of magic facing multiple DC defenders. We capped the successful trip off with a celebration in Arlington, Virginia at Don Tito, where I DJ’d a special set for our DMV area friends. Super shout to their entire crew for having me out and giving me the keys to the dancefloor for the evening. I came back to Chicago feeling excited about the team’s performance and re-energized for the rest of May. Capping off this winning weekend w/ a set at @dontitova - Celebrating a great visit to DC and a Fire away W. Going in at my favorite spot in the city. Shout out @jtaylorfish & @djphlipz for having me out! The following month, I got the chance to venture east for another away match in the big apple vs. NYCFC. Being originally from the East Coast, it’s always a pleasant feeling to return close to home, and away days in New York are no different. Unfortunately that pleasant feeling didn’t necessarily apply to the matchday experience, however the trip itself was an incredible few days in New York. Growing up in Southern New England, my first big sports experience was going to Yankee games with my Dad. A fan of the super-duo Mantle & Maris in the 60’s, my dad transferred his love of the Bronx Bombers to my brother and me at a young age. We would take day trips south to see games, and now that I was returning to see a soccer team play in Yankee Stadium, it felt a bit like a time machine back to my childhood. So for this trip, I was joined by my dad, brother, sister-in-law, and 3 family friends, all excited to see a competitive match between two eastern division contenders. We got a bit different story than we expected. Chicago got a big break, when NYCFC were forced to 10 men after Herrera’s ejection, however they failed to capitalize on the advantage. New York showed a lot of fight, and led by David Villa – they put up two goals that the Fire could not recover from. The final score was 2-1 in New York City. While everyone would argue this was a huge missed opportunity for the men in red, I really believe that playing in baseball stadium outfield presents a huge advantage for NYCFC no matter whom they play. The Fire struggled to find the final ball into the attacking third, and at times seemed lost on the peculiar dimensions of Yankee Stadium. Even though it may seem like a disappointing result, I was still really thankful to get out east and have my family experience an away game with me. It’s moments like these that you remember during an away trip for soccer, not necessarily the final score. This past month I had the opportunity to once again partner with US Soccer ahead of arguably one of the most pivotal matches of the last decade for the US Men’s National team. After a difficult start in World Cup Qualifying home in Columbus & abroad in Costa Rica, the US needed a win to sustain any hope of making it to Russia in 2018. With Bruce Arena now back at the helm as coach, the team needed to answer back with a win. San Jose was that answer. A resounding 6-0 victory was not met without adversity. San Jose was uncharacteristically cold, and heavy pre-match showers kept people huddled under tents, rather than out celebrating the matchday experience. Rain put a distinct damper on my responsibilities, being that my main focus is adding that musical ambiance to FanHQ Experience directly outside the stadium. Pouring rain deterred even the biggest fans from fully checking out activations from PowerAde, Continental, and Coca Cola for a portion of the matchday lead-up. Regardless of the environment changes – we got some select tune time in before Mother Nature unleashed the rain, and it was a blast cutting it up for fans eagerly awaiting the stadium gates to open. Our national team, by and large does NOT play games that are of lesser magnitude, so from a musical perspective, the approach to every experience is that each performance is an opportunity to one-up your contribution from the previous match. Here’s some of the big ideas I look to tackle at every USMNT Game I DJ. 1. Traffic Flow – What Activations am I placed next to? How would music for Powerade differ from Continental or Volpi? Whether the brand is more traditional (food service or consumer product) or experimental (performance drink or athletic apparel) I often think a lot about how one brand would sonically present themselves to their general consumer audience. How would the ethos and mission statement of a company campaign manifest itself on the dance-floor and how would selected tunes embody that company’s intentions for that activation. These are just a few critical thinking prompts I use when selecting music. 2. How big is my audio support? Is the speaker build-out projecting over the entire #FanHQ? Pretty obvious idea here, but depending on how big or powerful the audio set up is, I’ll often need to consider what part of the FanZone I’ll be reaching with my music – Depending on how large the area is, I may need to alter my music selections to tie in additional sponsors or activities in the immediate vicinity. 3. Where am I in the country? Who are we playing against? 4. What time of day is the match? At what point am I in the performance? Traditionally my sets are the four hours leading up to kick-off, so tracking my time to reflect the highest energy tunes when the largest amount foot-traffic is in the fanzone is an important aspect to focus on during the gameday experience. It was an honor to help soundtrack another big matchday experience for the USMNT - Here's to continuing to "make noise" in the qualifying rounds of the World Cup. There's an old saying that floated through my social media timeline's that paraphrased went something like this, "Traveling is the only thing you can pay for that actually makes you richer." Ok, for all the literalists and the politically correct police roving the internet, we know this isn't the case, but from a spiritual perspective and recharging a tired or belabored mind, I think this statement rings pretty damn true. I don't really do resolutions in a new year or at any time for that matter, but as a personal promise I've been trying to do a bit more self-reflection and travel in 2017. So to keep the commitment going, I decided to start it off by following the Chicago Fire on their pre-season and eventual MLS kick-off! Much like my previous pre-season trip to Portland in 2016, I headed out to St. Pete / Tampa Bay to check out Chicago vs. Montreal in a prep match before the Suncoast Invitational began and the team was on full-tilt toward their 2017 season. Big advantage of travel in any context is being able to have friends or family on the road to your destinations and luckily my family in St. Pete were willing to host us - Shout out my Uncle Richard! (Squad, Squad, Gang, Gang). We got a local feel for the area by taking a few trips around the surrounding area, checking out the archaeological site - Indian Mound Park & Bananas Records Shop. But for the finale, we got behind the scenes access to the Fire vs. Montreal Impact, the team's first Major League opposition in St. Pete having beaten Philadelphia in Bradenton at IMG Academy. The club even gave me the keys to their Snapchat for the day, giving me a chance to add my personal commentary to an eventual 4-1 win. Check out my snapchat takeover on the club account and some select photos from the match! I got to be 100 here. I don't have a whole lot of footage and feedback besides the fact that this trip we rode in the historic Fire Fanbulance with our good friend Raul, which is pictured below. It was exciting to kick-off the season away, in a atmosphere that's pretty hostile for Chicago fans in general. Thankfully this time around it was a manageable day-trip thought it did require me heading straight from a 2am finish time on a DJ set to rendezvous with the rest of the team headed to Ohio. We tied 1-1 and received a vital away point against a tough team. Proud to announce that I will be continuing my partnership with the Chicago Fire this year, renewing a collaborative effort that started midway through the summer of 2015. I'm honored and excited to continue my role as Official Club DJ / Music Director for the windy city's professional soccer team. After my first full season of soundtracking the team's campaign, I'm embarking on my second calendar year of tenure with fresh ideas, new mixes, and other opportunities to integrate soccer and music culture here in Chicago. 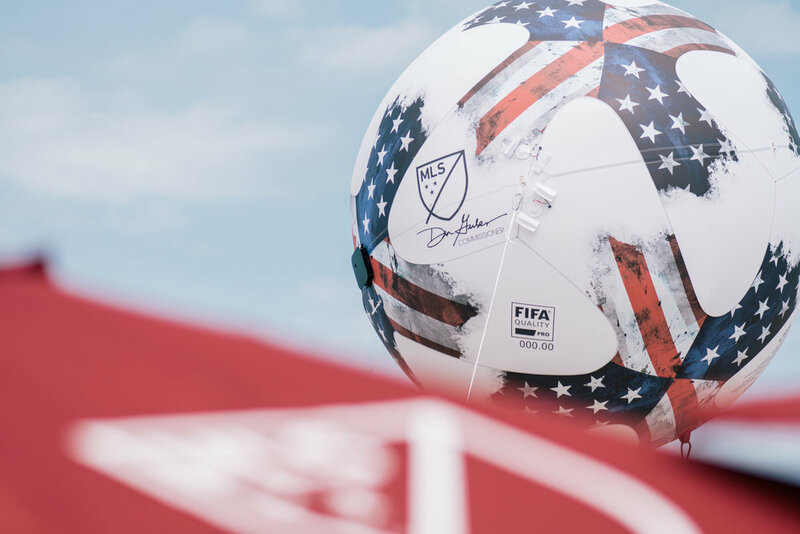 It's a big year in the city - it's our club's 20th Season Anniversary and we're hosting the MLS All Star Game - So in preparation here's a breakdown of the new year as it relates sound support at the stadium! SPARK THE PARK - Every home match (17 as it sits currently) will have a custom hour long playlist available for stream online prior to kick-off - The series entitled "Spark the Park" incorporates supporter, & player favorites as well as breaking records from around the world. To listen to last years' series click here. LIVE IN-STADIUM - For 10 of those 17 games, you can catch me performing live in the Valspar Fire Pit at the south end of the stadium. Tunes fire up approximately 1 hour before kick-off and you can expect a little scratch-session at halftime! There's a whole lot of special touches I am looking to incorporate for this new season. Here's a sneak peak at some of the ideas that may come to fruition! Special 20th Anniversary Mix - 20 Years of Music - and a celebration of the clubs history... Similar to the MLS MIX I produced last year. May the Force be with You! A spacey take on the stadium sonics for one night only this summer. Here's to hoping for a Stars Wars Themed Match for Summer 2017! Local Artist Night - Hip-Hop, Rock, or Soul - Chicago is a super talented city and I would love to partner with some of the best and brightest to create a 100% indie artist playlist for a match this season. Rock Night - We'll be hosting a classic rock night in April - break out your guitar and amps and send your request my way! Hispanic Heritage Night - It's my favorite night of the year, but for 2017 I'd love to expand the offerings and create a more built out stage for local latin artists to showcase their music to supporters before the game. Production and planning for the third installment of the Hot Mix Video Series is already in the works. Keep your eyes peeled for it, but in the meantime check out 2016's chapter! This past November will be one as an artist and more importantly as a citizen of the United States, I will never forget. Here's a quick post, highlighting some things I've learned and want to share with my friends, family, and followers. Twenty sixteen won't be a year I write home about, there's been a lot of changes (some good & bad) since arriving in Chicago. This last year has included some of the more trying times of my albeit short adult life. Major job switches, personal relationship issues, and just serious questions of fulfillment and place in the world have all come up in the last year, and all of that I think has been accented by this recent election. I've wrote about it at length in the below Instagram post, but other than the crazy disappointment it's led me to re-analyze the effects and ripples of what we put into the world. The same week all this stuff happened, I was on a flight to DJ my first match with US Soccer, the infamous "Dos a Cero" bout in Columbus that as you would guess.... did not go US Soccer's way. Tomorrow I am playing quite frankly the biggest DJ set of my career. It's a journey that in 7 years of doing this, if you asked me at the beginning If tomorrow was possible, I would have laughed at you. But here I am... DJing the biggest game of the year for USMNT. I'd be untrue to the way I was brought up if while packing to represent our country, I didn't feel an utter sense of embarrassment, and of disgust at what primarily white citizens of this country have decided in the elections as our course of action. After Tuesday, I was initially wishing the set wouldn't happen at all. Nothing I say ever will equal the fear my African American, Latino, Asian, Female, or LGBQT friends are feeling right now, and in coming months I hope despite the absolute disappointment this is, the love we show for one another only grows to trump the hate that's reared its head this week. What I've realized now, is that this trip isn't really about representing the country, it's about representing all of you. You are the people who've made me who I am, and literally carried me to this point in my life. I wouldn't be here without you. The diverse cultures and friends who have opened their doors to me and I to you, sharing equal love, respect, and understanding. Tomorrow for me is about that love, as well as your beauty, your humility, your kindness, and respect. I hope I can even do justice to half of the wonderful people and experiences you have given me during my lifetime. We are family. Thank you. This one is for you. As I echoed in that Instagram post, I'm not going to pretend to personify or even understand the multi-layered disappointment and fear the election has evoked in my friends of color - but I did start to think about how could I best be an advocate and support others. Like most DJ's do, I thought about this in song form. While watching the national anthem go on in Columbus for the soccer match, I couldn't help but look up into the November sky and wonder if we were (or have ever) lived up to that "Land of the Free" title we emblazon ourselves with on the regular. Surely we do get a lot of political freedoms to protest and speak our minds, but when decisions like the past election occur, it appears hate crimes and discrimination are on the rise. During these moments, lyrics like this seem more hollow than ever. But as in most difficult moments, you can find some sliver lining of hope in the same song that makes you question your current positions. "Home of the Brave" (the next line in our anthem) - Is an idea that will stick with me in these long winter months. As we turn over this new year and face potentially some of the darker moments in recent memory "making the brave decision" is going to be harder than ever. Bravery comes in many forms. It could be as simple as donating to a worthwhile cause, or as difficult as having tough conversations about life with friends, significant others, and family. Whatever you decide is your brave moment I'd encourage you to take it head on this December and connect with a friend to help you conquer that issue. Like most dangerous things in life (from scuba to sky diving) it's better to be brave in pairs then battling alone. You have the power to make change and you are what you need at this very moment. This isn't to say self-reflection (like the song exercise I just mentioned) isn't valuable or not another way to progress to a better place, but I know despite the rough times - the spirit of connection and collaboration won't be decided on an app or digital screen - it will be sealed over a cup of coffee and genuine in-person connection with others. Wishing everyone good luck this December and a happy new year! The second week of October this year was a milestone for me as a soccer sound selector. Nearing the twilight of the 2016 season with the Fire, I got the opportunity to pair up with Soccer United Marketing to curate the matchday tunes for Mexico vs. Panama at Toyota Park. As part of their American Tour, and in preparation for World Cup Qualifiers and the looming match vs. USA next month, Mexico was pitted against a familiar foe in Panama. This match would be a “friendly” in name only. Last time these two played was in the Gold Cup, and questionable PK call cleared the benches in what will be remembered as a full out brawl. Now under slightly less tense terms, they squared off in Chicago. I’d be lying if I said I wasn’t off the wall excited for this game. 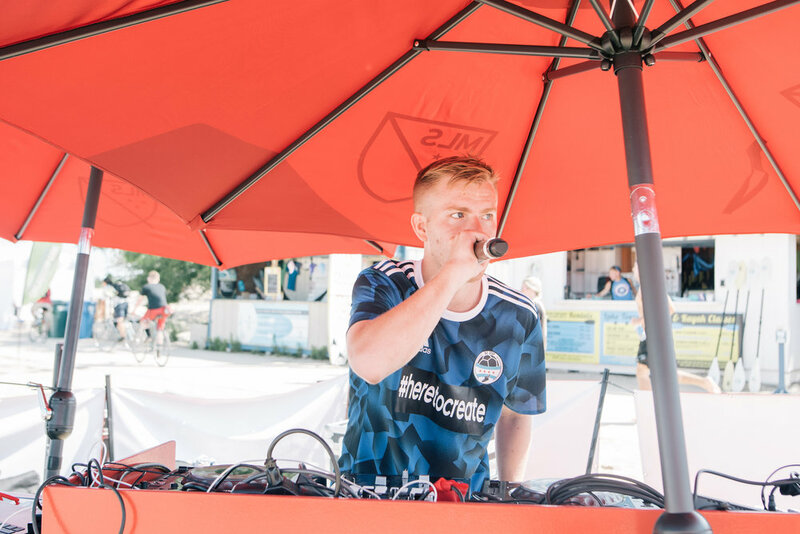 DJing matches with the Chicago Fire has been a dream job for the last two years, but getting a musical “call-up” for lack of a better term is a true opportunity to take time, research, and create something special for an international game. This was my first chance to do that, and it’s something I didn’t take lightly. From a musical perspective, and unlike a lot of sports - soccer presents an incredibly diverse group of spectators and supporters. Different nationalities, languages, ideals and musical tastes converge in one 90 minute event. It’s the "world’s game" at it’s finest. Over 19,000 fans piled into the stadium, most of them ardent Mexican National Team Supporters, and unlike their traditional sport experience, I wanted to do something that was above and beyond a regular international friendly - playing music that resonated with the primarily latino fanbase in a more dynamic way. Drawing on my experience and residency at downtown tropical hotspot Three Dots and a Dash, I combined popular latin artists with important musical influencers from both countries that were featured in the match. Below are some of the select tracks in my playlist for the evening. Earlier this year I also curated an “all latin” playlist for Hispanic Heritage night with the Fire - be sure to take listen to that as well! It was a big inspiration for the gameday tunes in this international match and one of my favorite recorded projects of the year. My main goal overall is to create a transformative experience for people in attendance of these games (and all the nights I DJ in a holistic sense). I get that normal day to day life can often times be a frustrating, and stressful enterprise, but when you become surrounded and immersed in the atmosphere of a live event or social setting (especially in sports) it can be that temporary escape that a fan so desperately needs. I get that, and that's why the research and preparation I do is in an effort to provide a soundtrack for this transformation to occur. That's why I am here. To improve peoples lives through music. When you put these things out into the universe you never know who will connect with the projects, and so it's always particularly cool to see when others respond positively to your work. Thanks to the Univision Deportes crew - Luis Omar Tapia and Rodolfo Landeros for breaking it down at the match. Their energy and positivity is what makes events like these so much fun. Shout out to Lorely for pointing this video out to me! Check it out below. In the end, the match ended as a 1-0 win for Mexico, with Oribe Peralta finishing a slot pass from fan favorite Giovani Dos Santos. An incredible matchday experience and something to build on for the future as an international in-game DJ. As 2015 comes to a close, your brain starts going through a mental checklist to brace itself for the New Year. What were the highlights? What were the little stumbles along the way – and where did you carve out some special meaning and moments in the journey overall? I’ve never been one that subscribed to the “New Year – New Me” nonsense that gets circulated during the holiday season with the hope of purposing a resolution that will change your life – but I do think there is value in taking inventory of the people you should be thankful for when you switch over calendars in December. So with that in mind, let me say thanks. This past December I released a mix project, with my friends at 8 by 8 Magazine, a beautiful full color subscription periodical that highlights the long-form journey of soccer on a quarterly basis. So lucky to journey out to NY and meet Cooper + his team. Their stunning piece of literary art is really the main inspiration behind our project together and it was a blast to interact with them. I hope to work more with them in the future. Be sure to check out the interview and final product of our collab – RIGHT HERE. THE MIX IS HOT FIYAH! & I also manage to make myself not look like too much of an idiot. Outside of this mix, which celebrated Major League Soccer’s 20th anniversary in the USA, I wanted to establish an avenue to not only give away a fun audio project to folks for free, but also a product for friends who are just as passionate about music/sport culture. So to celebrate this year, this project, and the fusion between music and sport – we are releasing a special limited edition run of DJ STEP and 8 by 8 Mag Jerseys. These jerseys have custom made patches – hand stitched into authentic Adidas apparel – and less than 20 of these will be available. They’re completely free – but as there is such a limited amount I am going do a little drawing and pick some winners. All you need to do is RETWEET THIS LINK, and throw me a THUMBS UP on my FACEBOOK PAGE, and then I’ll randomly draw from that list of people for a free jersey – shipped to your door. The announcement will occur on New Years Day. Thank you so much for supporting my projects in 2015, working hard to give people something worth cheering about in the New Year. There is a contagious emotion that trumps all others in the spectrum of human interaction. It’s the feeling of creative inspiration. You know that sensation, that rush of joy or sense of discovery when you lock on to an idea that seems to defy the laws of social reason. It’s equal parts crazy and equal parts intelligent with a dash of spontaneity. It’s a metaphorical middle finger to the way society wants you to act or behave, and it’s an idea that helps you carve out an existence that straddles the line between the reasonable and the radical. You’re not re-inventing the wheel when you feel this way. It’s the success you may feel when you realize a quicker route to work, or figure out a way to sort laundry faster. You could even be inspired to change from a well-written book or movie. The light of inspiration flickers on and off for a wide variety of reasons and in a myriad of ways, but the age-old question remains…. How can we remain inspired? From a personal perspective – I struggle with this a lot. I often feel like my life is disjointed – and I naturally compartmentalize things so I can make sense of how life works. What this quickly boils down to is some activities become “work” and others become “fun” or creative and the more I’ve meditated on this subject, the sillier I think the concept is. When things become “work” the opportunity for any learning seems to fade – it’s replaced by the concept of getting from point A to Point B without major physical or emotional injury. Let’s be honest work then becomes stress. To me, we have this entire process backwards. When I got out of school about two years ago, this mental separation between work & play, creative and structured was a process I grappled with constantly. I struggled to maintain a life of balance with equal parts work (for financial reasons) and equal parts play (for creative and soul-feeding human interaction). I now have the chance for both. Recently I made a mix video with the help of my friends Ben + Dan that gave me the opportunity to start sonically curating matches for the Chicago Fire… An organization that is historically very important piece to Major League Soccer. The sport itself has long since been a huge part of my life, and now to be able to combine two life-long passions into what some would characterize as a “job” – is truly an incredible experience. This collaboration comes as a direct result of the idea that work & play can coexist. It also proved to me personally that there is opportunities to find art in every facet of your daily life. Art or creativity isn’t something that stays on a canvas or hangs from a wall – your art is your personal touch, your writing style, the way you laugh and how you entertain others. It can be as small as a whisper between friends or as big as street-side mural – but acknowledging that art’s prominence exists in multiple mediums of life is a great way establish your own place and path in the community. I’ve chose mine – and it’s to soundtrack and enrich the lives of people through music, whether it be creating music or curating selections from other sources, I’m excited for what the future holds and hope you’ll join me on this creative exploration in your own personal way. It’s Sunday, the alarm went off and you have a horrible hangover. You went out with your friends last night downtown, but that’s about all you remember. Don’t worry. I got you. Let me fill in the missing links. Also here’s some Advil and water (you definitely don’t look like a morning person). My name is Ben Stepnowski, I live in Chicago, Illinois and for about four years now I’ve been studying the art form of vinyl record manipulation and turntablism. In layman’s terms, I am a professional DJ. On a given weekend if you take a trip downtown in Chicago and step into a relatively popular club, chances are good that you’re on my dance floor. People head to mainstream clubs and popular venues to try and escape their normal sense of reality and forget many of the stresses or anxieties that bother them during a traditional day. The dark room, blazing light shows, loud music, and alcohol prominence is undoubtedly a window of opportunity for escaping any issues or frustrations in hopes for one evening of temporary amnesia. American Institute of Stress recently released a statistical analysis that highlighted nearly 80% of employees feel stress on the job and almost half would say they could use someone to help get through the anxiety. This pent up negativity energy to me is a catalyst for a particularly rowdy evening with friends at your favorite dance club or venue. It’s a frustrating issue because most often, my ability as a DJ and performer is hinged on the way I curate and mix tunes, my own take on the popular palette of selections. When venues and promoters put more emphasis on patrons requests as oppose to the DJ's expertise… Everyone loses. It’s like me walking into a finance office and taking lead on the next pitch your team does to a client. I have no idea what I am talking about in those cases and no one benefits from me voicing compulsory thoughts or concerns. I don’t have a degree in finance and many of my suggestions would be completely off base. The same can be said on the dance floor. The traditional party goers’ lack of knowledge and understanding of dance floor chemistry makes it difficult for them to give worthwhile feedback. In this day and age, DJing has become a really romanticized occupation, a cross between confetti cannons, flashing laser lights, and worldwide adoration, however the reality is way less glamorous. In fact, your average friend or local weekend warrior probably has never experienced any of those as a “working DJ”. The reality is a cross-fade between late nights, hard work, little sleep, and the occasional special human interaction that makes it all worthwhile. That being said, one piece of human interaction that is often referred to as a big pitfall of any working DJ is the dreaded “song request”. If you ask a guy (or gal) that mixes songs together and gets paid to do it, chances are they have a horror story of a patron insisting they play some sort of tune during their night on the job. That’s normally the response I think of in my head when I share little stories of someone who needed to hear Bon Jovi in the middle of the all disco set I was playing or that Katy Perry was an absolute MUST in my old school hip hop repertoire. The biggest disconnect here is that most working DJ’s are often paid on their ability to warm a room up for a headliner or control a dance floor in a manner that reflects the venue they are playing at. When folks make demands on DJ’s in the forms of requests, they tamper with the ingredients at the DJ’s disposal to craft a proper energy level and rhythm to the dance floor. I liken this song demand to forcing a baker to put almonds in his cookie mix even though the dessert is meant for someone with a nut allergy, if you demand things that don’t directly jive with what is prescribed for a night or a moment, you risk an uncomfortable or even catastrophic result. So why do requests continue to survive? I’m not writing this article as a hater believe it or not. There have been moments where I run out of things to play and a request jogs my memory in a different direction, or starts a special bond with a patron that turns out to be a memorable friendship. After a few years playing parties in Chicago I’ve come up with a flow chart and idea that to me, illuminates some reasoning behind the phenomena. To me the cycle stems from cyclical range of emotions that the common party-goer goes through when they decide to hit the dancefloor with their friends on a given weekend. The circle starts with STRESS (aka your normal job). So how does the flow chart end? Where does it go from here? The demand for familiar, exhaustive pop music is to me an attempt by party goers to anchor themselves in a reality that appears to be trickling away from them with every sip of the double long island ice tea they have in their hand. As the dark room, strong drinks, and blistering light show begin to inhibit dancegoer’s sense of security and reality, they search for something to ground themselves in familiarity and maintain a hollow sense of comfort in a space where they are quickly losing their inhibitions. They return to their workweek on Monday, with an empty sense of satisfaction that for one day, they “lived on the wild side” requesting things that are painstakingly familiar to everyone. As long as this work cycle remains, requests and the pressure/demands of this interaction will remain stronger than ever. I write this article as a student of social interaction and not someone that is wishing to chastise or ridicule the system at work Moreover this is an attempt to portray a struggle felt by a lot of working DJ’s that wish to maintain a hard fought creative identity in a world where demands and interactions attempt to sculpt that identity into an entirely different form. My call to action is to demand better of yourself and think more closely about your daily social interactions. As a dj and artist I am willing to play song suggestions and be as warm and welcoming to patrons as humanely possible, but there are cut off points when respecting human beings as individuals take precedent. If people disrespect your existence and position at your job you have every right to quickly and politely make the party aware of this negative sentiment. Then.. just as they made a request, you can also suggest the best way for them to remedy their behavior. Not all moments in life will end as harmoniously as you expected, but bringing focus and importance to situations like this can help foster a higher awareness for a party – attendees and artists included. I also challenge people to actually go out and listen to your favorite working artists and DJs as a more educational experience than just simply treating folks as a human juke box with arms. What songs are they playing? How long have they been in a particular genre? Do they scratch? What year was that record from? Why is this song my favorite? Does it fit the mood the artist is creating currently? What time is it at night and would this song requests popularity be too much to play at an early hour. All these questions and hopefully a few answers can help create more aware fan bases that genuinely understand music better. It’s my challenge to you as readers to take these ideas along with you the next time you go out. I am 100% sure it will change your outlook on the world around you. Till next time, yours truly on the dancefloor.